Is Facebook a Threat to YouTube? Until recently, anyone wanting to distribute videos on the internet, more likely chose YouTube. Then, they shared that same video on Facebook. Sure, there are other networks out there like Vine, Vimeo, or Instagram but YouTube has had the crown for a while now. However, today there is a “new kid on the block” when it comes to video – Facebook. 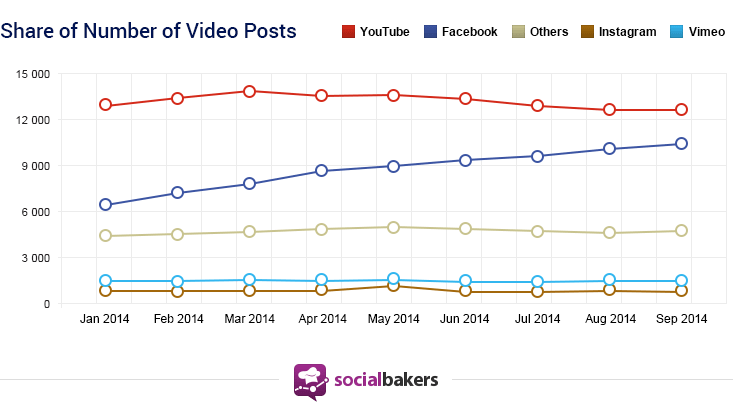 #Facebook is now the “new kid on the block” when it comes to social #video. Socialbakers analysed over 20,000 Facebook Pages of brands, media, celebrities and entertainment and over 180,000 posts and found that Facebook could become a threat to Facebook in terms of video consumption. Facebook has done a lot lately to improve it’s built-in video platform so it’s logical for content marketers to stay on Facebook instead of using YouTube as a depository. It certainly makes a lot of sense to stick with Facebook, if you think that redirecting to YouTube redirects your well-earned traffic. 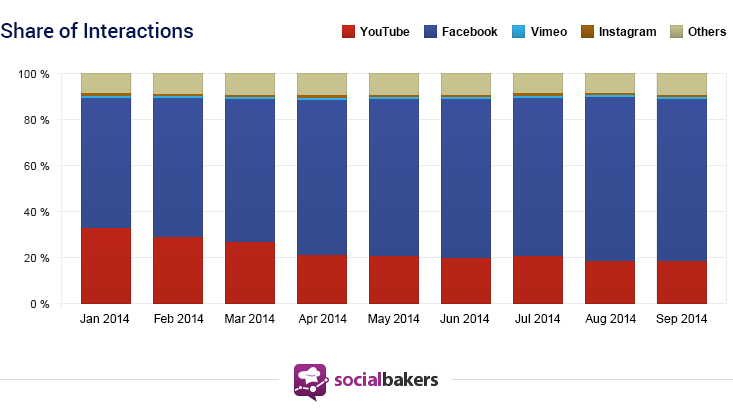 #Facebook’s video #engagement might just be a big threat to #YouTube! In terms of the share of number of video posts YouTube was still clearly on top in the beginning of the year – However, after around May, Facebook shot ahead. Today, there is a trend showing Facebook ahead of the game by early 2015. So essentially, in terms of a shift, there has been a big one. The shift has happened in the last few months alone, so we should expect things to get a lot more interesting in the near future. Whatever the case, Facebook seems “unstoppable” even in video.